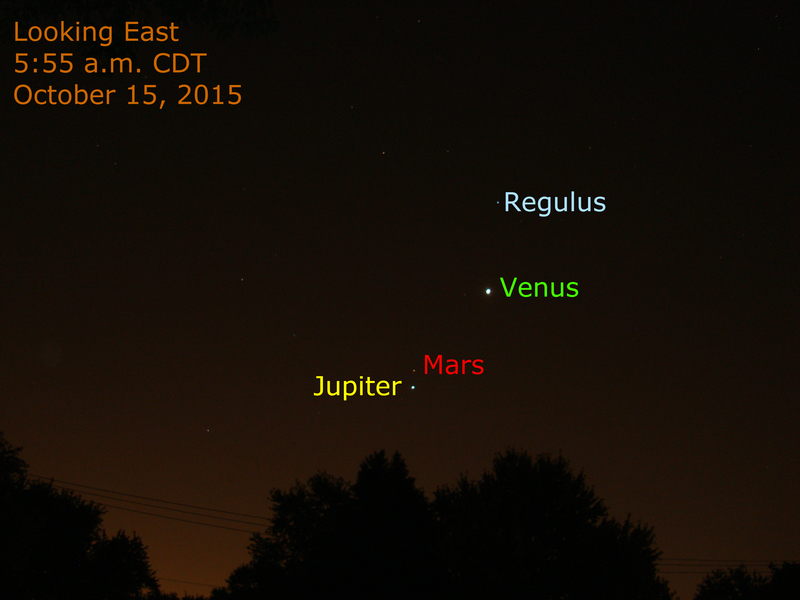 Brilliant Morning Star Venus shines brightly from the eastern sky this morning as seen from the Chicago area. Bright Jupiter and Mars are less than one degree apart. Venus and Jupiter and moving closer together as they are 8 degrees apart today. They pass close on October 25.